Ready to begin your search for a top web hosting provider? Let us help you more successfully navigate the PickupHost website with an overview of our features and quick tips for finding exactly what you’re looking for, and more. Let’s start with the basics. The first step in choosing the right hosting provider is determining which type of hosting level your website will benefit from. PickupHost includes information and ratings on all of the most common types of hosting levels, which include: shared web hosting, dedicated server hosting, cloud hosting, reseller hosting, VPS hosting and CDN hosting. If you’re uncertain of what defines each type of hosting service, check out our resources page for explanations and recommendations. You’ll also find that we provide extensive information and ratings on various CMS hosting companies for various website needs, including: WordPress, Drupal, Joomla, Moodle, Magento, PHP, Forum, eCommerce and unlimited hosting. Once you’ve determined which hosting platform you’d like to explore further, you’ll find that on each hosting page, an interactive chart is featured. This ratings chart lists hundreds of the top web hosting providers for specific hosting levels. Each listed company will also be represented by icons that indicate various criteria like location, cost, popularity and an overview of packages offered by the hosting company. You may also click on the hosting company name directly for a link to their main website. If you have a certain criteria for choosing a hosting provider—say, for example, you’re searching for top providers that provide the most RAM for your new website—our chart can be customized to present providers in the order of their RAM capacity. Other listing criteria include ratings, price and disc space. You’ll also notice that each provider includes a graphic of their average star rating and a link to view full user reviews. These star ratings are based on five components of provider service: price, tech support, server speed, user-friendly features and uptime. 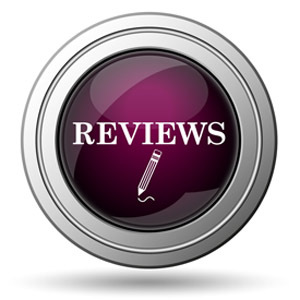 Users may also leave written explanations of their reviews. To reiterate, these reviews are directly from customers themselves, and are not subject to bias or advertising. As you read reviews, you can also help make our experience better for future site visitors by indicating whether or not a review was helpful. Any reviews that are found to be unhelpful will be removed from our site. As you read reviews on a provider’s individual ratings page, note the option at the top to “submit a review.” Once you’ve purchased and experienced a hosting package, why not leave your own review to help out others in their search? We provide general guidance and tips to ensure you leave a review that is truly valuable to others. 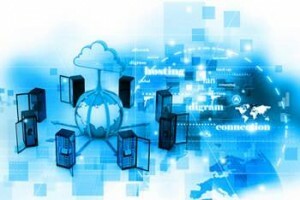 In addition, many of our listed hosting providers also offer options to watch video tutorials of their services, a helpful way to learn more about what you might expect from their service. Video tutorials can be found on a hosting provider’s description page. Another crucial facet to note when exploring a provider’s ratings and reviews is the “features” tab, found right alongside our coupons and video tutorials; on this page, you’ll find specific information about control panels, server-side scripting, accepted methods of payment and more. As these features could heavily influence hosting quality, take care not to miss this page! Interested in keeping up to date with the latest industry developments, or in need of tips for choosing a provider? Then continue to visit the PickupHost blog, where you’ll find just that. This frequently updated section of our site is intended to offer our visitors insightful, relevant information to make picking your next hosting provider even easier. 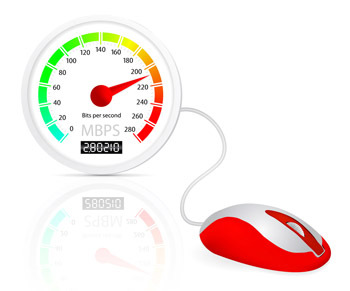 We’re also proud to offer visitors the innovative opportunity to truly test the speed and uptime of a hosting service before purchase thanks to our speedtest. The speedtest icon can be found on each provider’s review page or in our main navigation bar. To test the speed of a provider’s ping, select the specific provider, choose your server location (USA or Europe) and click “test” on our speed chart graphic. The odometer will move to reflect ping time and will provide a specific number below the icon, along with a chart that explains the significance of each range of numbers. Anything that scores less than 50MCs means that a server’s ping time performs “in a flash,” while anything above 200 is probably cause for reconsideration. We also offer a unique Q&A page for visitors to search commonly asked questions; if you happen to have additional questions and concerns, you may always feel free to contact us directly via phone or email.